Summer Travel – Off the Road. Before arriving at grad school, I went on a series of great family and solo trips around the west. First, I went on a family trip to Oregon to see totality during the solar eclipse. I don’t have any pictures of it because I was busy losing my mind over seeing the Sun’s corona, but the experience was incredible. 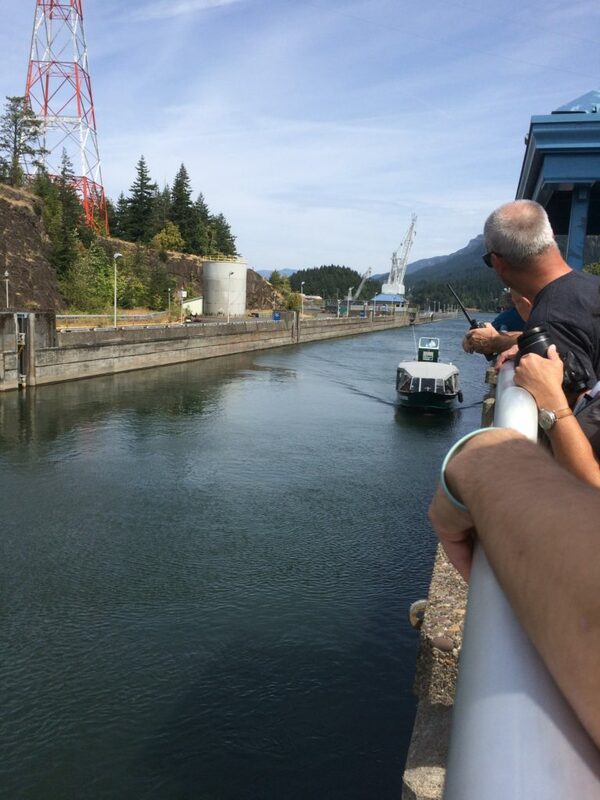 On the same trip, we also had the time to do a day trip up the Columbia River Gorge and watch a boat go through the locks, and see local wonders such as Herman the 11-foot long Sturgeon. 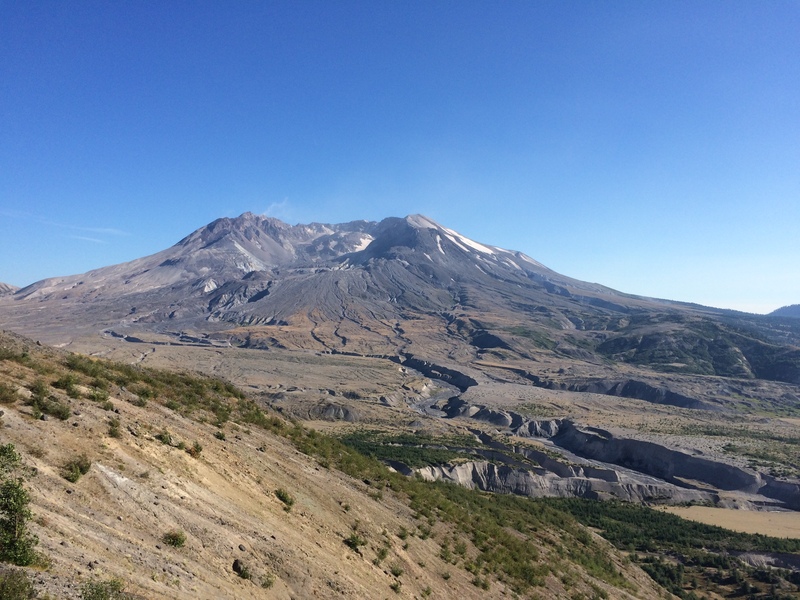 We also stopped by Mount St. Helens to see the huge amount of destruction that the eruption caused. The landscape is still scarred with lava flows, and the mountain is continually evolving, from developing lava domes to a glacier that formed in the caldera. After the tour through the Pacific Northwest, I went off to Yosemite Valley where I camped and hiked for a week and a half. I was joined by my sister and a couple of friends who drove up from the Bay Area, and also spent 5 days on my own in the park. I started off hiking with my sister and we gradually worked our way up through the Mist Trail to do Cloud’s Rest, the peak that overlooks all of Yosemite Valley. The large sections of the south of the park had wildfires (more on that to come) so it was pretty smokey. 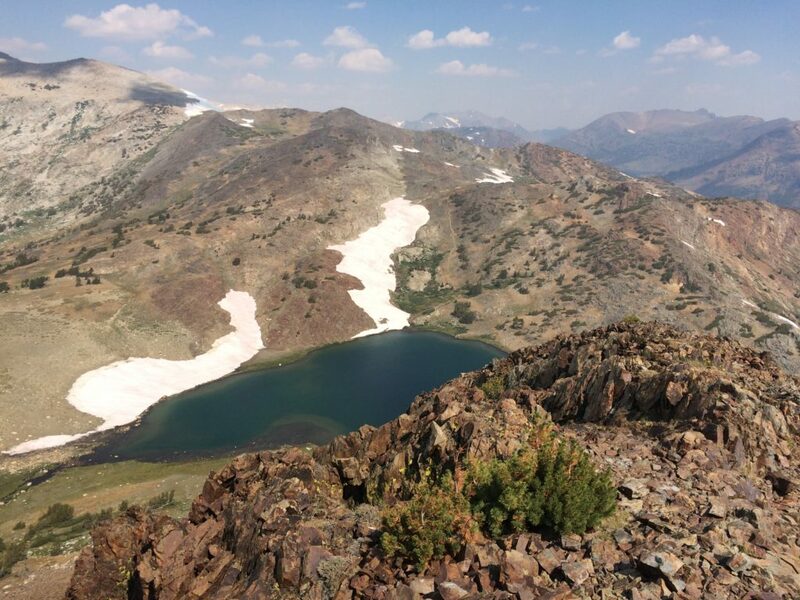 However, Cloud’s Rest is an incredible hike, with tons of glacial lakes and wildflowers culminating in a narrow granite ridge that leads to the summit. I loved spending time with my sister outdoors, and appreciated getting destroyed by her in 7 Wonders Duel and other games in the evenings after our hikes. Next, my friends Julia and Paul came up for the weekend. 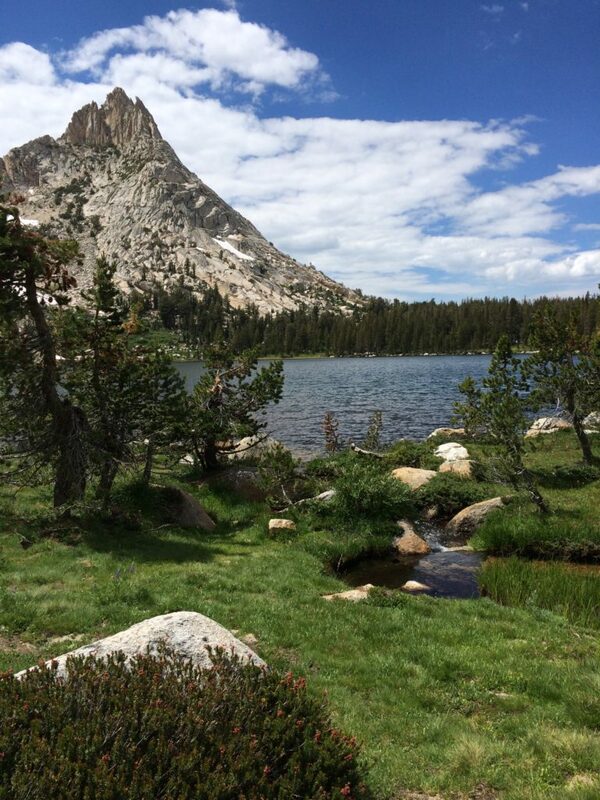 Since weekends in Yosemite in August are a zoo, we stuck to hikes to glacial lakes around Tuolumne Meadows. We had a couple of wonderful days hiking through wildflowers and the remains of the winter snowpack to go wading in beautiful lakes, and managed to dodge most of the crowds as well. Then, the solo hiking portion of my trip began. I spent most of a week cruising up and down trails in the valley fueled by canned chili and cheese quesadillas in the company of a copy of “The Agony and the Ecstasy.” Simply put, I had an incredible time. One of the highlights was hiking Half Dome, although the start of my day was a bit more exciting than I intended. 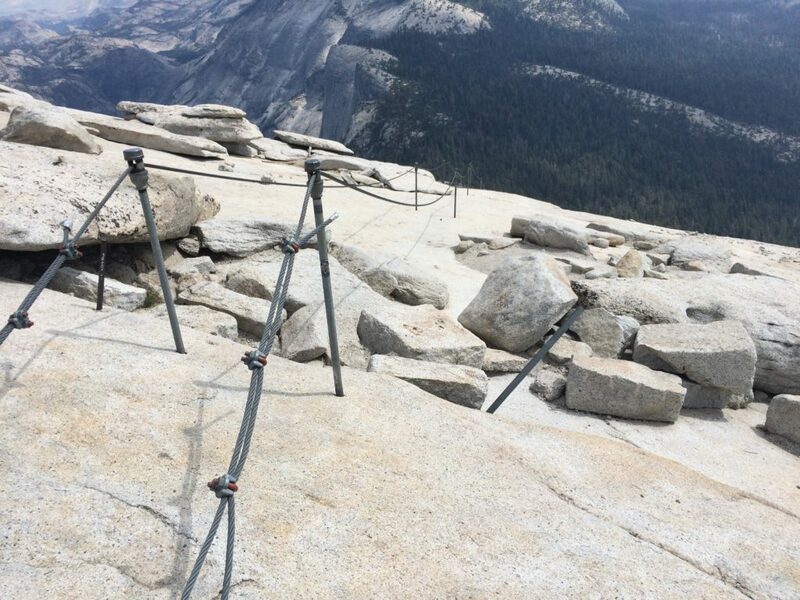 First, I struggled to get a permit to climb the cables because I was spending time up in Tuolumne, which has no internet to log on to the website and apply. I ended up calling my dad from the side of a road where I had one bar of cell service to put in the application for me. After getting my permit I had moved south to camp down at Wawona for a couple of days. The night before my hike, I was driving to my campsite and got stopped by a ranger leaving the valley. He let me pass, but said that the road half a mile south of where I was camping was closed due to a new wildfire, and we may need to be evacuated for the next evening. Based on the recommendations of some rangers, I woke the next day at 5am to break camp and eat some granola bars before driving to Half Dome. After stashing my food in a bear box, I started hiking around 7am and reaching the summit around 11:30! 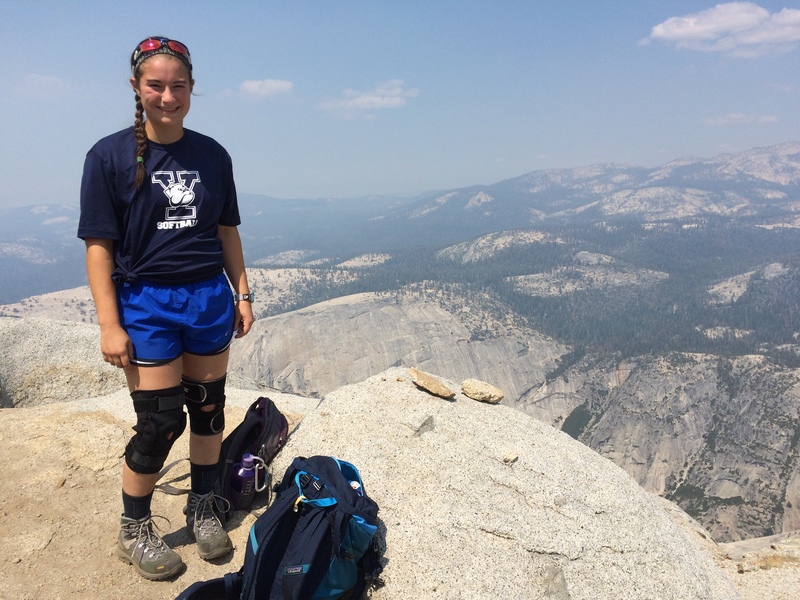 The cables up Half Dome were terrifying, but overall the experience was incredible. While the hike itself spends a lot of time in relatively unremarkable woods, there was a great sense of camaraderie between people hiking together early in the morning and going up the cables. As exciting as Half Dome and Cloud’s Rest, were, my favorite hike by far was up to the Granite and Gaylor Lakes. 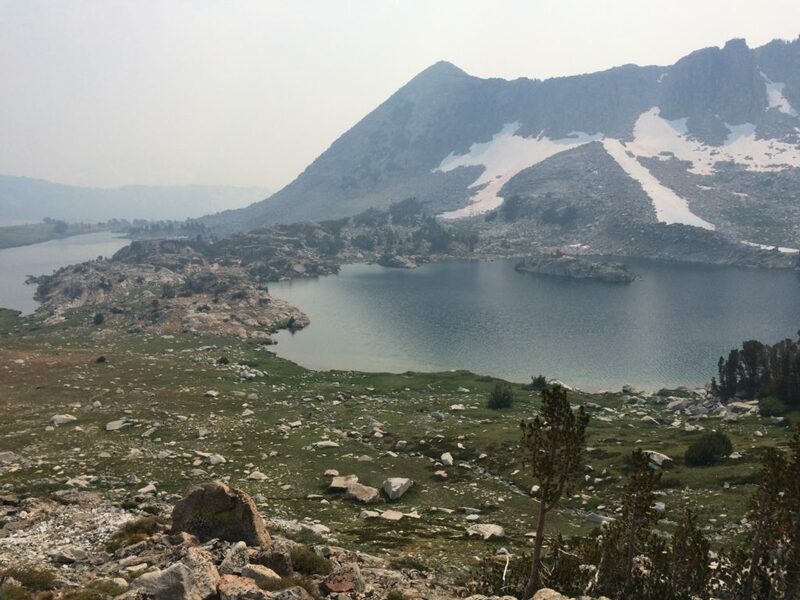 The little-used trailhead begins at Tioga pass, so you start the hike at 9,000 ft and go up to 12,000 ft. The trail then goes up past an old Sierran mining camp, skirting the edge of the granites that make up the rest of Yosemite. The landscape consisted of spectacular glacial lakes, melting snow, and wildflower populations that changed as you ascended. Going along the tops of bare mountains and looking out over a landscape with no other people or evidence of human habitation was a unique and humbling experience. I am incredibly grateful that such beautiful, isolated places still exist in the US, and that I am able to hike and visit them. Spending a week with my friends and family exploring the west was an amazing way to spend the end of my summer. Now, onwards to my PhD program!